You’re never too old for a lottery win to change your life for the better! 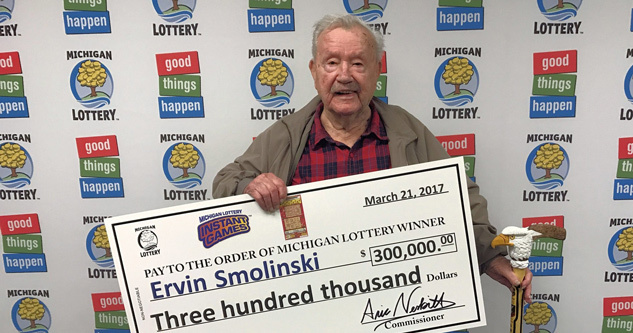 Just ask lucky World War II veteran Ervin Smolinski, who had just turned 94-years-old when he won a $300,000 lottery jackpot this March. Read the remarkable story of his life-changing win here. Ervin Smolinski of South Branch, Michigan was already remarkable. Now retired, Mr Smolinkski had served in the US Navy during World War II – over seven decades ago. He’s one of just a few hundred thousand of the United States’ 16 million WW2 vets still alive today. Mr Smolinki’s life took another dramatic turn on March 17th this year – his 94th birthday. Ervin’s daughter routinely buys him several instant win Double Bonus Cashword lottery tickets on his birthday, as part of a family tradition. The gift paid off in spectacular fashion this year, as the veteran scratched off a ticket to reveal a $300,000 win. Apparently, it was Mr Smolinkski who came up with the birthday lotto ticket tradition on the first place – and we bet he’s glad he did. Despite the shock of winning such a huge sum of money, Ervin says he stayed calm after he scratched off his winning card. He told reporters: “I had four Double Bonus Cashword tickets and the big winner was the first one I scratched. I’ve seen a lot in my time, and I don’t get worked up too easily. I think my son-in-law was more worked up than I was. We’re happy to say it seems that Mr Smolinski will allow himself at least a couple of luxuries as a result of his big win – he says a new shed and a “newer used car” are top of his shopping list. It’s fantastic to hear about lottery winners like Mr Smolinski – people who really, truly deserved their big wins. Here are a few more clippings from our archives which prove that much of the money is going to the right places. When you’ve really been down and out in this world, you’re likely to have an especially keen sense of the value of charity. Perhaps this goes some way towards explaining the story of Hungary’s most famous lottery winner: Laszlo Andraschek’s. Andraschek was a homeless recovering alcoholic back in 2013, when he spent the last of his money on a lottery ticket. Amazingly, the ticket was a jackpot winner worth $3.2 million! Andraschek quite rightly looked after himself and his children immediately after his jackpot win, setting the family up with new homes and cars. 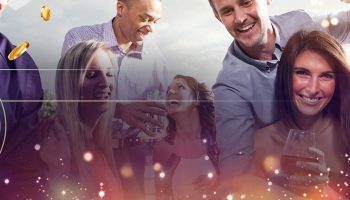 It was later, however, that Laszlo really earned his reputation as an especially deserving lottery winner – when he used a significant portion of his winnings to establish a foundation for addicts and abused women in his native Hungary. Louise White – the sweetest lotto story ever? 81-year-old Louise White became one of the biggest lottery winners of all time when she won a massive Powerball jackpot worth $336 million. The “vivacious octogenarian” from Rhode Island, US, picked up her ticket whilst visiting a local shop to buy some rainbow sherbert flavoured ice cream. As if that wasn’t cute enough already, Louise went on to set up a family trust fund with some of her prizemoney – and she called it The Rainbow Sherbert Trust in honour of the favourite ice cream flavour that made her rich. 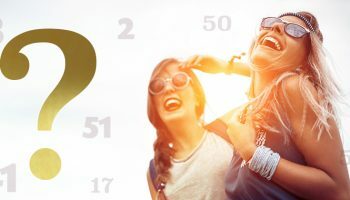 Now we’re not saying that lottery winners should feel obliged to give all of their prizemoney to good causes – but it sure is special when they do. Canadian Tom Crist became ultra-rich overnight a few years back, when he found out he had won an incredible Lotto Max jackpot worth $40 million. Crist’s win was a happy moment, but it came not long after a sad one – the loss of his wife to cancer just two years earlier. She was just 33. Mr Crist’s memories of his wife inspired him to do something amazing with his jackpot win: namely, to give it all away to good causes, including cancer research facilities. Read our feature on the most deserving lottery winners for more heart-warming tales like these.